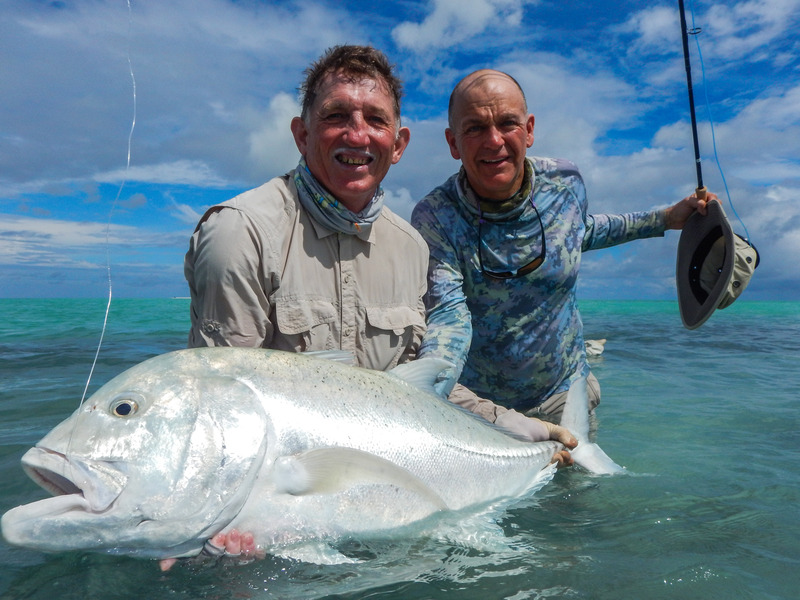 The 17th week of the 2016 – 17 season has just come to a close which marks the beginning of the second half of the Alphonse season. 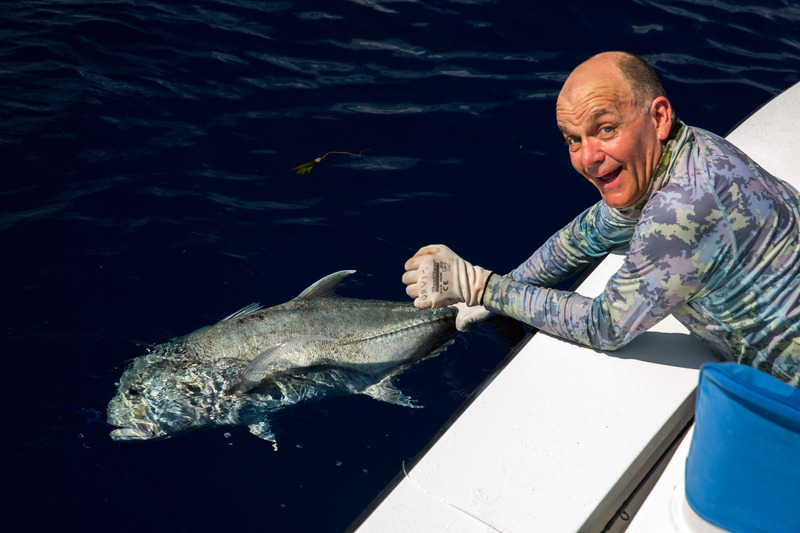 It has truly been a week to remember with some unforgettable fishing experiences. The sheer diversity and beauty of the atoll is only rivaled by its unpredictability. This week saw the transition between the neap and spring tide cycle. 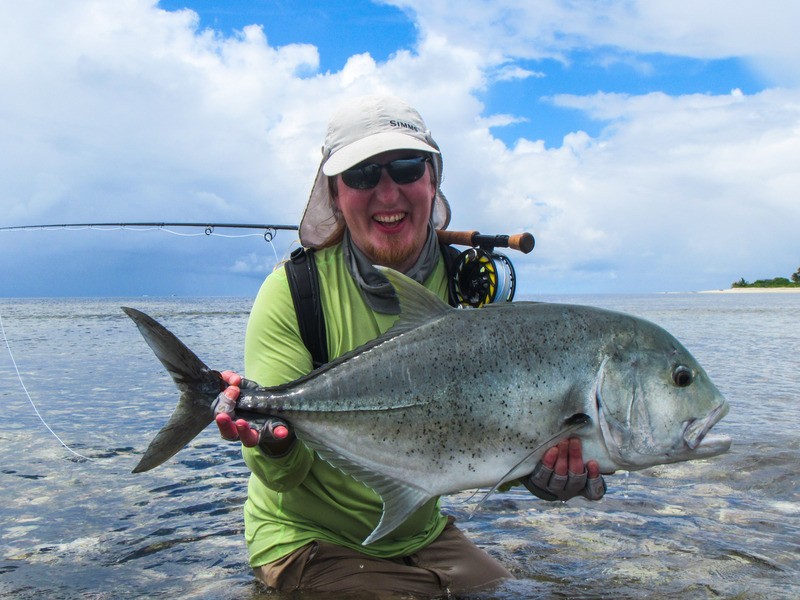 This gave the group ample opportunity to spend time fishing the lagoon and the surf alike. 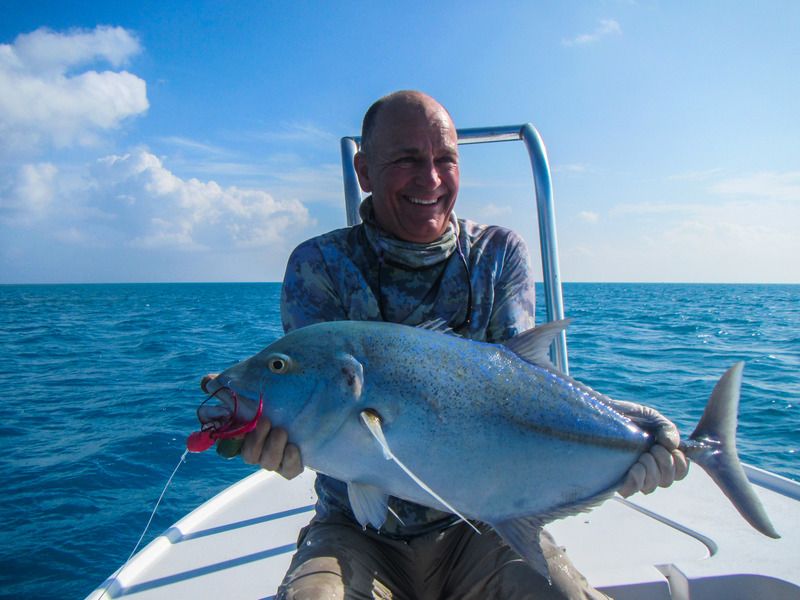 The early week neaps provided great shots at the notoriously finicky Triggerfish on the finger flats as well as some quality Bonefish fishing higher up on the white sand flats. As the tides slowly turned to springs everyone’s attention began to turn towards the arduous yet mesmerizing walks along the surf line, especially concentrating on the apex predators, the GTs. 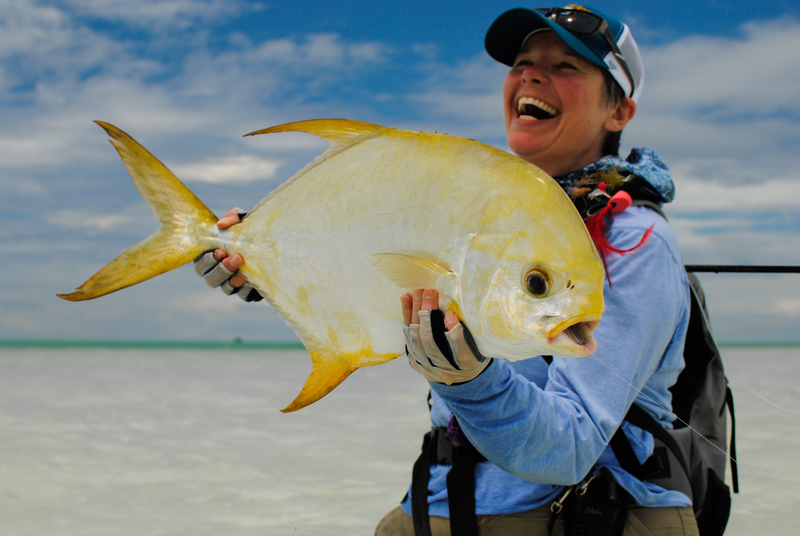 Weather plays an integral role in the world of flats fishing. 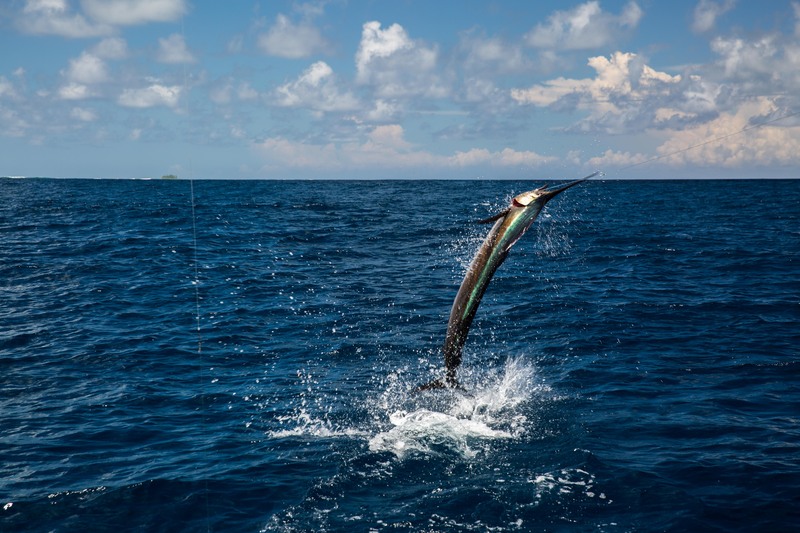 The light and wind direction is always at the back of the guide’s mind when carefully choosing a spot as it may have a large impact on seeing and presenting to a fish. The week’s weather was highly erratic with some days being as good as we have seen all season and others producing high winds and rainfall. Despite the unfavorable conditions that were thrown at the group it was fantastic to see the high spirits and unfaltering determination of the guests who were all keen to face up to the challenge. 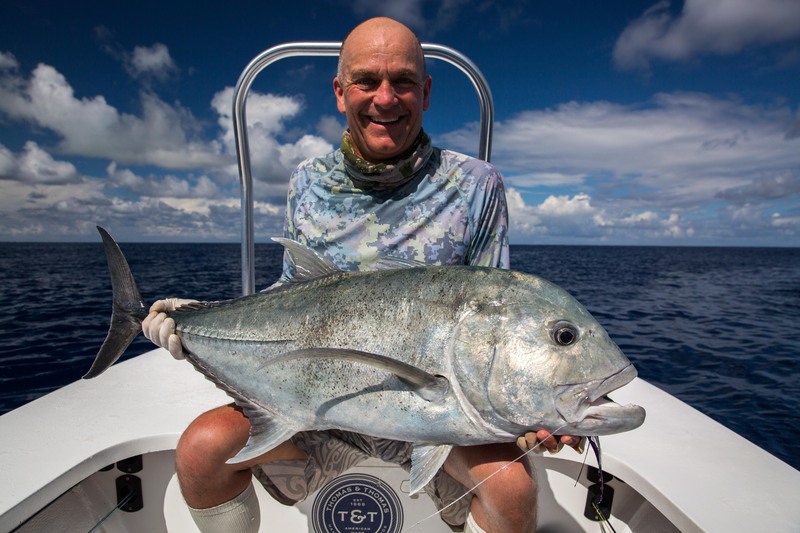 The first to step up to the plate this week was John C who opened his week up with a cracking 96cm GT at the close of day one. His boat partner Alex H did not lag behind and claimed the GT champion of the week with his two fish over a meter, 100cm and 105cm. 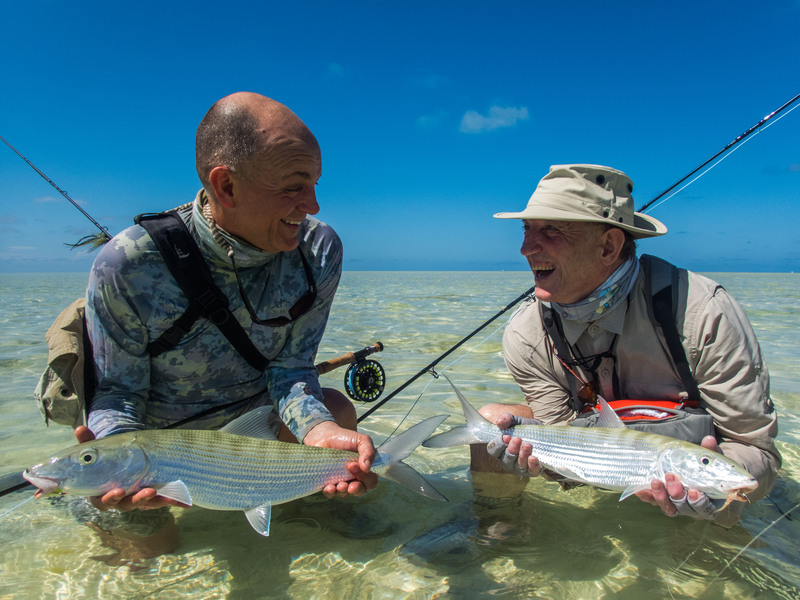 What made this experience even more special was that it was Alex’s first time joining us on the flats and his first ever saltwater experience, an unforgettable beginning to the world of saltwater fly fishing. 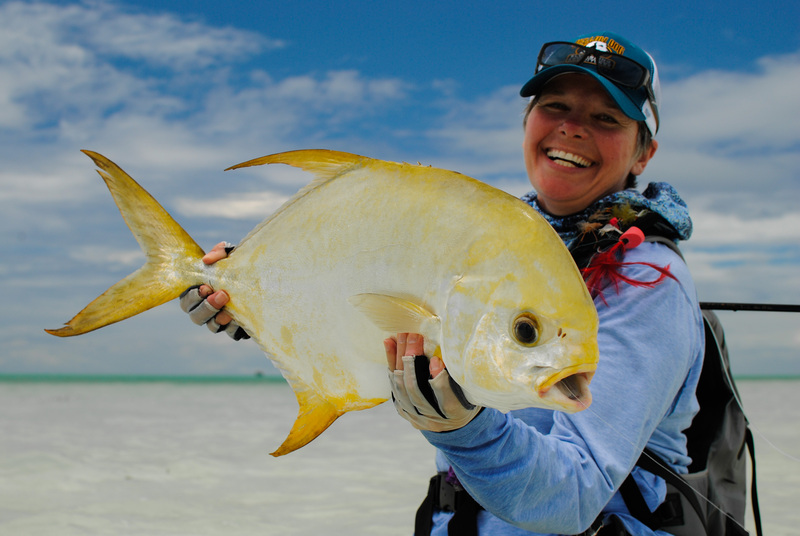 It is a true test of skill to hook a permit but it is even more of a privilege to hold and release one of these amazing creatures. Mikko S and Patty M were in the right place at the right time and made the perfect presentation to fool these devils, fight them successfully and land the “Holy Grail”. 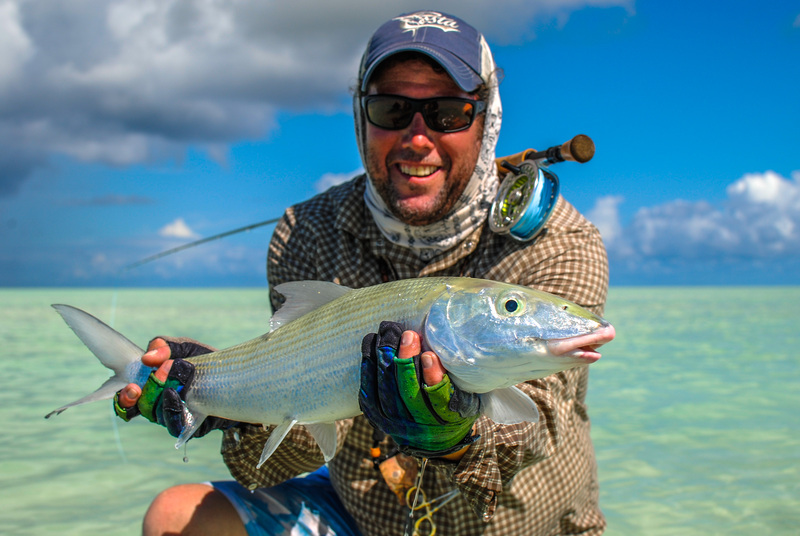 Despite all of the action that was happening on the flats, the blue water fishing this week was on fire. 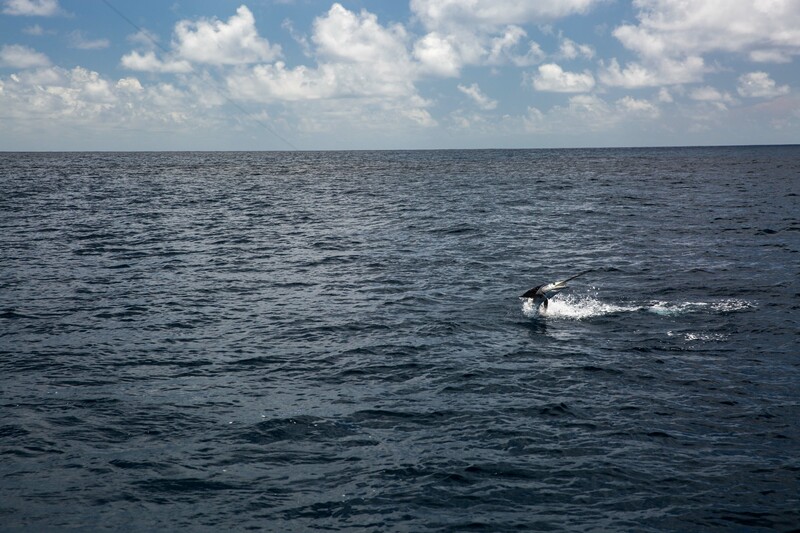 The water on the outside was crystal clean during the neap tides which provided prime conditions for sailfish. 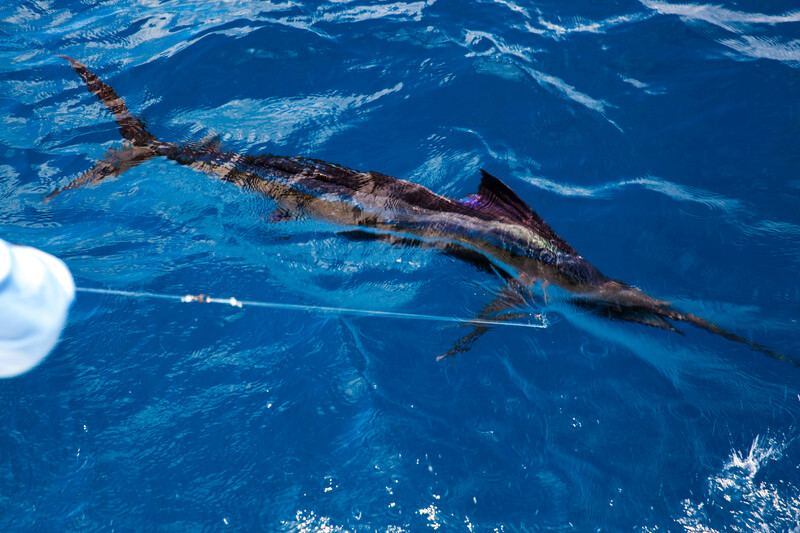 Seppo S, Jussi H and Jukka K managed to rack up 10 sailfish between them throughout the week. 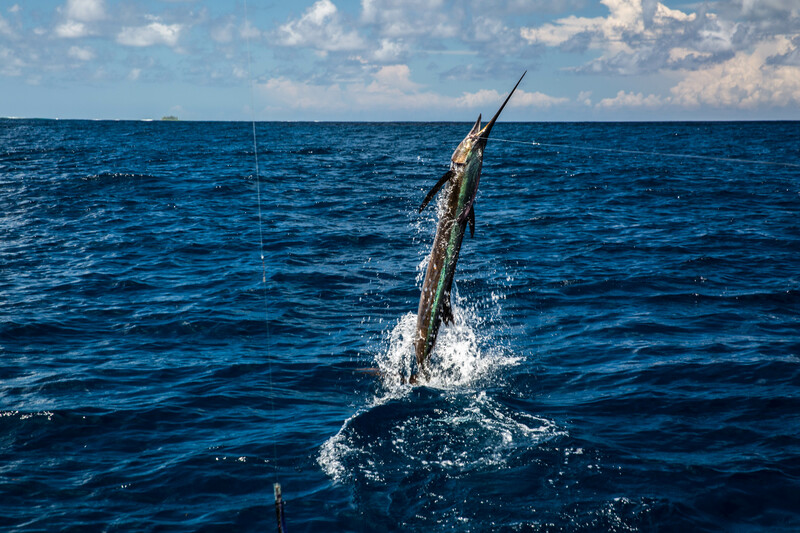 They also got their fill of Wahoo and large Yellowfin Tuna, which were feeding alongside birds on massive bait balls not far off the drop-off. It was a very interesting end to the week with small shoals of juvenile Rabbitfish making an appearance in the lagoon. The GTs were beginning to feed on these schools in large numbers giving us a taste of what next week may hold. 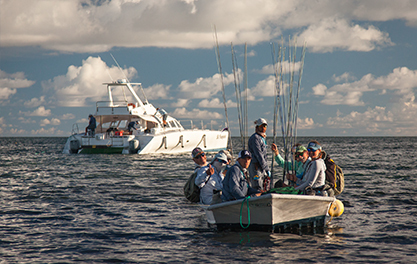 Tight lines form the Alphonse Fishing Co. team.